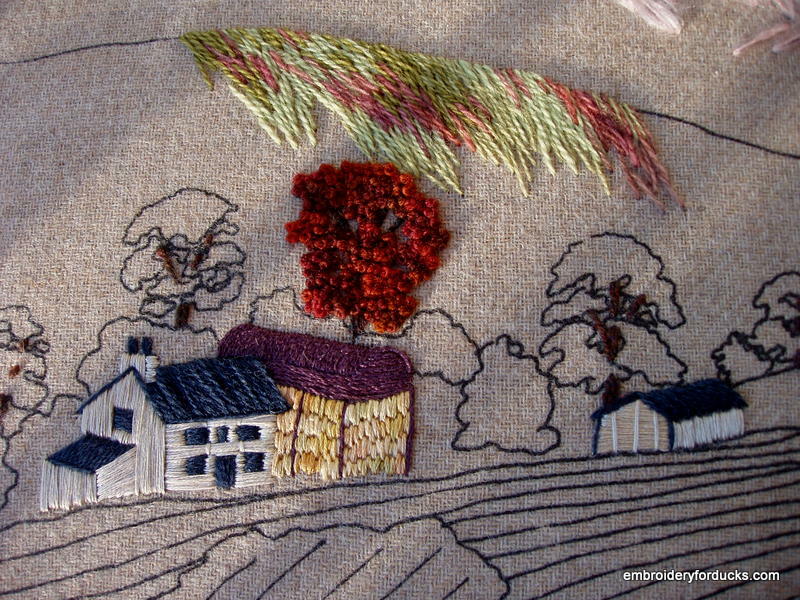 The tree is in reddish variegated yarn, and it’s really going to stand out against the hillside. Gorgeous indeed. I am so enjoying watching this grow.